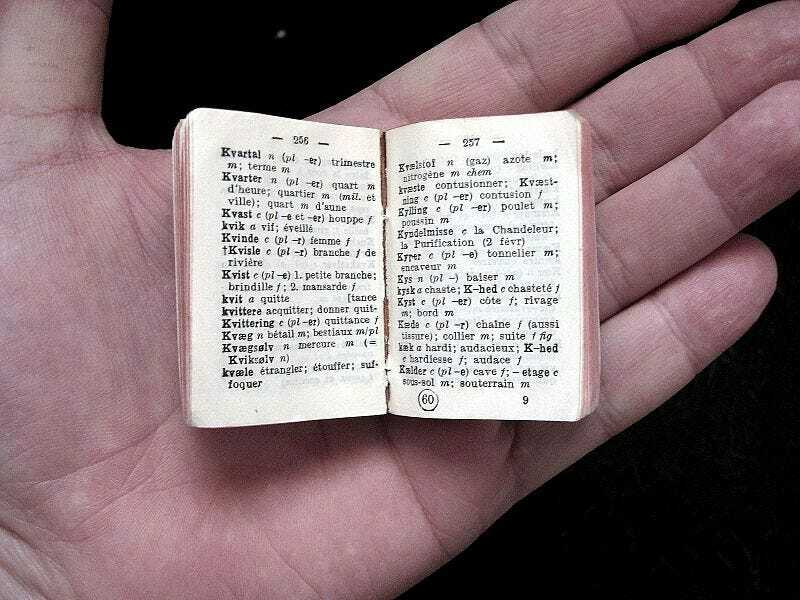 Merriam Webster has updated its newest edition with 150 new words. A lot of the terms — social networking, tweeps, hashtag, and catfish (in the identity sense, not in the goes-well-with-okra sense) — come from social media. But there are also plenty of other words including Yooper, freegan, fracking and more. Other new additions include crowdfunding, big data, steampunk, and, gamification, as well as some new food terms: poutine, turducken (hopefully with illustrations), and, most necessarily, pho. It's always interesting to see watch as neologisms make their way from our everyday speech into the dictionary, but there are also a couple points that the new words help illustrate. One is the way that language is continually evolving, with new words being added and shed as they're needed to talk about the ways we live now. The other, though, is that the evolution of language is by no means monolithic, words that become commonly used in one place may or may not travel other places at the same rate. For instance, selfie made it into the Oxford English dictionary in 2013, but just joined Merriam Webster this year. Tell us what you think of the newest dictionary additions — and make your picks for next year's new additions in the comments now!